Beer brewing in Belgium covers the full spectrum of techniques, from the mega-production of famous international brands to the secretive cloistered environments of exclusive microbreweries. 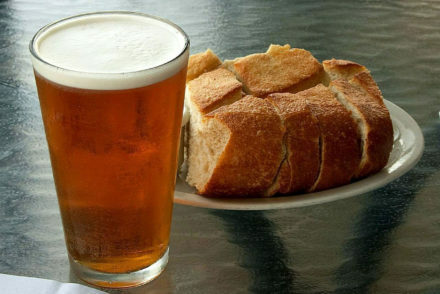 Both the brewing and drinking of beer in this country has evolved into a science, including the use of appropriate glass, bottles, and drinking vessels to ensure the flavours are fully appreciated. 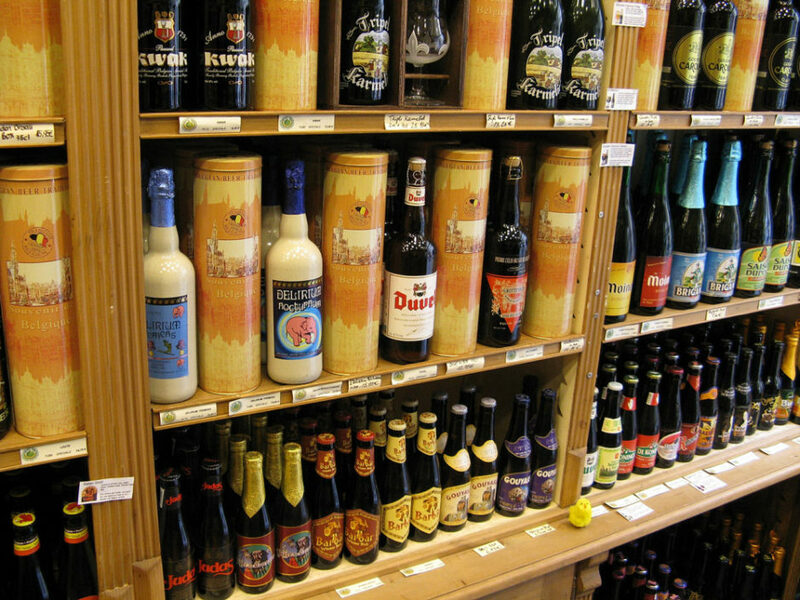 Almost all Belgian beer purchased internationally is sold in bottles rather than cans, and styles range from pale lagers to heavy-bodied brown ales. 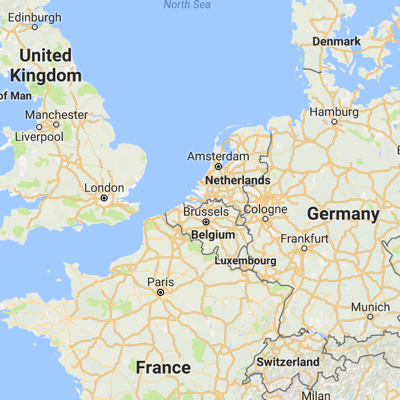 Before we continue, let’s make sure that the geographically challenged knows where Belgium is. OK? At one time or another during the past 2,000 years, the country that is now known as Belgium was governed by the mightiest European and Scandinavian nations. The upside of this tumultuous history is that foreign influences have remained long after the invaders departed. This is especially noticed in the diverse influences on beer manufacturing. Even wine-making styles have left their mark and continue as part of the local tradition of brewing fermented lambics, beer aged in wine-casks, re-fermentation in the bottle, and the brewing methods found in Catholic monasteries. As early as the 12th century, the Catholic church granted Flemish abbeys the permission to brew their own beer. The first crusades had begun, and the distribution of abbey brewed beer became an important fund-raising enterprise. The tradition of beer produced by monks in monasteries has continued, and although many so-called abbey beers are now no more than a clever marketing exercise, there are still some breweries around the world that can legally call their beers Trappist – and six of these are in Belgium. By the beginning of the 20th century there were around 3,400 commercial breweries in Belgium, primarily due to the minimum expense involved in starting a small brewery. Local government also played a major role in expansion by never legislating how beer should be brewed, resulting in the huge variety of Belgian beer we see today. High import duties on wine and excessive taxation on spirits during the early 1900s – an attempt by the temperance movement to stifle alcohol consumption – led to Belgian beer makers increasing the alcohol content in their beer. Most Belgian beer consumed today has a higher alcohol content than beer produced elsewhere. Centuries of experimentation and refinement of brewing techniques has resulted in more that 1,000 unique Belgian beer flavours and styles. These include golden ales, brown ales, wheat beers, Flemish red beers, saison beers and Belgian lambics. Belgium is also home to mega-producers such as Anheuser-Busch InBev and Stella Artois, with both breweries located in the city of Leuven, about 25 kilometres east of Brussels. Trappist certification requires the brewery to be located within a monastery, with the monks involved in production. Profits must be used to support the monastery, or used for social upliftment programs. Trappist beer refers to the beer’s origin and not the style, and although most Trappist beer is top-fermented, the style of beer produced by the different monasteries varies greatly. Trappist beer is typically high in alcohol content in keeping with Belgian tastes, varying from around 6% to 10.2% abv, with both blonde and dark beers readily available. Most Abbey beers remain relatively faithful to the distinctive Trappist style, with close to 20 certified Abbey breweries in operation. Comparable to an English pale ale, with a slightly less bitter flavour. There are some exceptions though, with several brewers remaining faithful to English tastes since World War 1, when British troops were stationed in Belgium. This variation of pale ale is commonly made with pilsner malt. The Moortgat Brewery, founded in 1871, produces its flagship Duvel blonde ale, one of the most popular of all Belgian beers both at home and internationally. As the name implies, these are darker than the amber ales. Brown ales cover quite a taste spectrum and are less sour than the well-known Flemish brown ale. Belgian brown ales are often sweetened with a hint of figs, raisins or spice combinations. Derived from the French word for season, “Saison” was a term that referred to the refreshing pale ales seasonally brewed in the French-speaking district of Wallonia. Saisons are usually bottle conditioned, providing a unique style of natural carbonation. This technique has undergone a revival in recent years. Developed during the 19th century at the Westmalle Trappist monastery, Dubbel is a strong brown beer typically between 6 and 8% abv. Dubbels are another example of beer that is usually bottle conditioned. Prior to the wide availability of hops for beer brewing, a variety of herb mixtures were used. Belgian wheat beer is continuing the tradition, using spices, herbs and fruit products including coriander and orange peel. Wheat beers have risen in popularity since the 1950s, with the well-known Hoegaarden brand at the forefront of production. This deeply coloured reddish-brown beer is matured in oak barrels with the assistance of a lactobacillus culture as used in yoghurt production. The flavour is further distinguished by roasted malt and top-fermenting yeasts, which combined results in a fruity yet sour taste. This beer is uniquely Belgian, originating in the Pajottenland region to the south-west of Brussels. Spontaneous fermentation is produced by exposure to wild yeasts and bacteria prior to an extended ageing period that can range from three months to three years. As expected, this unusual brewing method results in an original and distinctive taste that is dry and cidery, with a slightly sour finish. 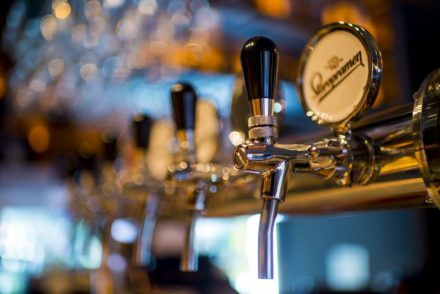 With such a huge range of beer styles and varieties originating in Belgium, it’s easy to become confused regarding the alcohol content of individual beers. In fact, many beers of the same variety vary greatly in strength. To simplify matters, the Belgians classify their beers under the practical heading of singles, dubbels, tripels and quadrupels. Singles are the weakest Belgian beers, although often still the equivalent of medium strength beers found in other countries. Monasteries often produce these lighter beers for in-house use, alongside their stronger brands which are extremely popular in Belgium and beyond. Dubbels are stronger, with many tending toward reddish-brown ales courtesy of caramelised beet sugar and a yeast that lends a distinctive spicy or fruity flavour. Tripels are usually around the 7-10% abv mark, making them a potent drink that should be sipped rather than guzzled. Tripels also use beet sugar, although it isn’t caramelised and the beer retains a golden colour and is lighter on the palette. Quadrupels are a strong beer, with an abv of around 12%, and are usually just stronger versions of Dubbels. Although Belgian beer makers utilise cans as well as bottles, most brewers and customers are firmly convinced that beer tastes better out of a bottle. The colour of the bottle is also a major consideration, with brown and dark green tinted bottles used to prevent the beverage suffering negative effects of light. Some manufacturers even use both a cork and metal crown cap to keep their beer perfectly conditioned. After 1,000 years of beer brewing and drinking tradition, Belgian tastes have evolved in distinguishing the ideal match of beer and drinking vessel. Elaborate glassware preferences are expected to be provided when enjoying the different beer varieties. A typical example is the tulip glass which traps the aroma, maintains the beer’s head and provides an appealing visual statement. Lambics and fruit beers are best served in a narrow flute-like glass, similar to a champagne flute. This shape sustains carbonation while displaying sparkle and colour. Trappist and Abbey ales are often enjoyed from a large chalice or goblet style glass, in keeping with monastic traditions. Belgian beers are heralded around the world. They are the recipients of numerous awards and are voted by experts as being some of the world’s best. In recent decades, the taste for Belgian beer has resulted in a huge market increase in Europe, the USA, Australia and New Zealand, and the trend is showing no sign of slowing up just yet. 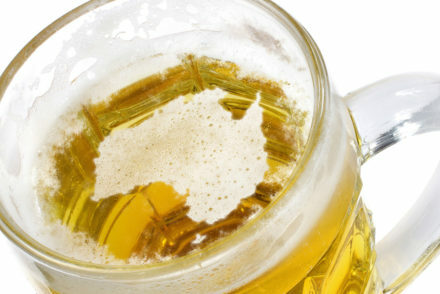 Beer brewing in Belgium is a prestigious business. As a sign of respect for Belgium brewing traditions, the Belgium Brewers Guild organises festivities every year where excelling brewers are “enthroned” as knights in tribute to Gambrinus, the “King of Beer”.